We easily forget, Padre Steve, that there is another unseen foe contending in the radical Islamist heart and mind; and that entity is Satan himself. To you and other scholars, it may seem simplistic, but they even communicate in the Old Assyrian language in their communities in which a derivative of Apollyon is used to describe their mentality—destroyers. Sad commentary on war, but I totally agree with you. I am of a like mind. I like you have been decrying the foolishness of the US having attacked Iraq even though they had no connection to al-Qaeda. our 9/11 etc. This action has taken off the band aid placed in the region after WWI, with the creation of countries and boundaries without consideration of the various tribes with different traditions, culture, religion that go back thousands of years. The Islamic extremists from the Taliban, to al-Qaeda and now ISIS form a cancer. Just when the US or any other country believe that they have incapacitated (contained) an Islamic extremist group they become metastatic. ISIS members believe that they are directed by Allah! The west and like minded Muslim countries need to demonstrate that God is not part of their wish to speed up the coming of the Apocalypse. 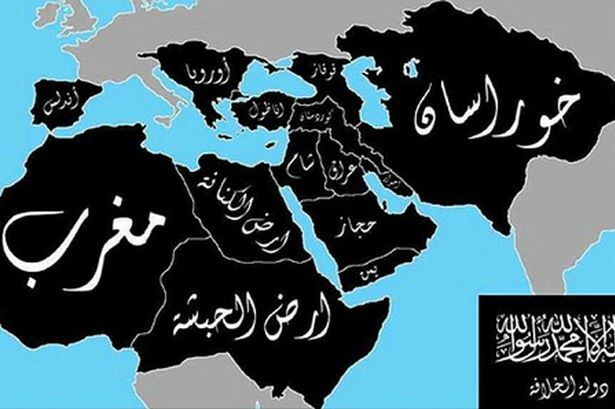 This is a war that needs to happen where the western and Muslim world communities come together to send this clear message to ISIS. This was very informative and well done….thank you. I agree with a lot of what you’ve said here. The problem is, I think, that as a society we’re not ready for the commitment of resources and effort that it will take to defeat ISIS and similar movements. It’s not going to be something we can do with a few airstrikes, drones, cruise missiles, Special Forces and our professional military. It will take a World War II-style total conversion of our economy and social machinery to the cause of this war, specifically and explicitly including the transition from fossil fuels to renewable energy on a crash basis (which is what we should have done after 9/11). It’ll take the mobilization of significant numbers of civilians, especially in businesses and industries like technology, and it will take trillions of dollars in deficit spending which means heavy tax increases and a restructuring of Wall Street and financial markets. If we really want to go to war against these people, this is what we’re going to have to do. But we’re not going to do that. Taxes in this country will never be raised for any reason, at any time, under any circumstances–period. Our political orthodoxy absolutely forbids it. So that alone eliminates the possibility of waging an effective war against an enemy like this. So what are we going to do? Call down some airstrikes, use some drones, cruise missiles, Special Forces, etc. Our politicians will tell us we need to win this war, but they’ll be afraid to ask for any sacrifices, especially economic ones, that would enable us to do it. So the “war” will drag on for 20 years and end in some sort of inconclusive result. If that’s the only kind of war we have the stomach to wage, then it might be better if we don’t even bother. If we *really* decide we need to go to war against ISIS, then we’d better do it all the way. If we aren’t prepared for that kind of total commitment–which I don’t think we are–then I don’t have a lot of high hopes for what we can realistically accomplish. This is my admittedly pessimistic view. My view is also pessimistic. Tomorrow’s article will talk about that. Thank you. This is he best I’ve read so far. I agree 100 %.